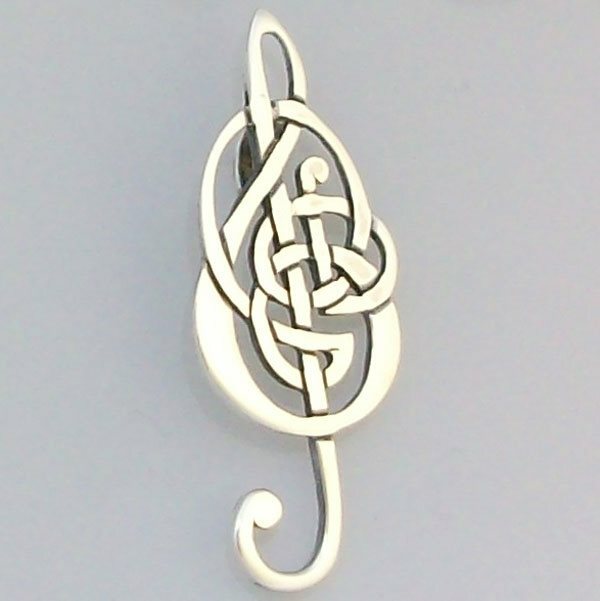 The Ceol Nan Gaidheal is a celtic treble clef pendant on a black lace, which we designed as a symbol of the music , song and language which we are steeped in within the Hebridean Isles. It translates as the Music of the Gael. Pendant is 43mm in length and width is 17mm.